Thousands of companion animals are surrendered to US shelters each year simply because their humans passed away or became ill and had never made plans for the continued care of their pets. 2nd Chance 4 Pets, a 501(c)(3) nonprofit, all-volunteer advocacy organization focuses on helping to make sure pet owners have planned for the possibility that their pets might outlive them. 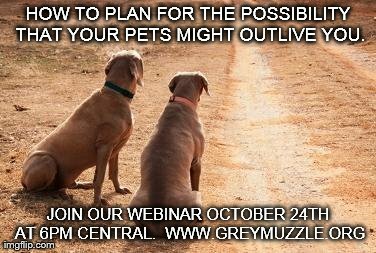 In this session, the organization’s director, Amy Shever, will outline what options are available to ensure “lifetime care” for pets and how you and your organization can help pet owners plan for the continued care of their pets.